The present government during their election campaign pledged that they would take steps to re-create the independent Commissions. There promise was to de-politicise the public sector to prevent political interference and to improve the quality of public service and the public servants. They hurriedly enacted the 19th Amendment. And provided therein a mechanism too, the (new) provision, not to exceed the constitutional restriction, relating to the number of ministerial posts , if in case they do not form a ‘NATIONAL GOVERNMENT’. However, for their own advantage, they themselves violated the relevant Article and began falsely identifying themselves as members of a ‘NATIONAL government’! They have also deferred enacting the enabling laws – The National Audit Bill – a must. They have appointed the independent commissions too, minus the powers. The framers of the 1972 Constitution introduced provisions to abolish the independent Public Services Commission (PSC) in the Soulbury Constitution (1947). This constitutional modification gradually paved the way for the demolition of the public sector which had an excellent reputation for honesty, integrity, vision, fidelity and honourableness. In 1978, once again, when JRJ government introduced another Constitution, there had been widespread consensus that the PSC should be re-established, in line with the previous model in the Soulbury Constitution (1947), which had been given complete independent status in order to create an impartial, effective and efficient public service, shielded from political interferences. They however re-created the PSC minus the crucial powers. Article 55(2) provided that appointments, promotions, transfers, disciplinary control and dismissal of all Heads of Departments be assigned to the Cabinet of Ministers. In addition, the power of appointing Secretaries to Ministries had been assigned to the President by Article 52 (1). The drafters had also seen to it that the permanency of the Secretaries too removed. In effect, under both these Constitutions, (1972 and 1978) they had surreptitiously incorporated the necessary provisions to give constitutional strength and thereby legitimise political appointments and interference over the public service to the Cabinet of Ministers. The present PSC does not therefore have the necessary powers which it had enjoyed under the Soulbury Constitution. It is now a decorated name board only. The 17th Amendment was passed with multi-party consensus in Parliament. The aim had been to curtail excessive powers of the Executive President and to depoliticise the public sector by introducing the much needed checks and balances into the system of governance through independent Commissions. Under the 17th Amendment, term of office of the first PSC expired on 1st December, 2005. The previous government did not take steps to nominate members to the PSC and hence PSC had been defunct during the period 2nd December, 2005 to April, 2006. The second PSC was appointed on 10th April, 2006 by presidential decree without observing the constitutional requirements. The question of unconstitutional appointments to the PSC and the Police Commission had been challenged before the Court of Appeal. The court thereafter had held the view hat the President’s action could not be challenged in a court of law. This was another unique instance where the Executive President had failed to perform the legitimate constitutional functions. Present government too had mis-interpreted the concept of the NATIONAL GOVERNMENT, for their own benefit. The Constitution is the highest law of the land, which stipulates the basic structural and procedural principles of governance. The President and the PM had jointly exceeded the number of Cabinet, State and Deputy Ministers having flagrantly violated the provision introduced by them. This is sufficient proof that they are also concerned only about rewards, perks and benefits. I am convinced the President and PM did not truly uphold the principles that they were duty bound to establish GOOD GOVERNANCE. The ‘good governance team’ led by the President and the Prime Minister happily run day to day governance contrary to the provisions in the Constitution from day one. Crooked politicians betray the common man. We are now tired of promises that they have broken! The President and PM had reiterated that the Public services need to be up graded to enable the public servants to perform their duties with integrity, centred around citizens, and responsive to the needs, particularly the needs of the most vulnerable. Both have substituted rhetoric in place of action. As they had pledged, if they sincerely need to achieve greatness, they must not merely talk, they must do it right. Aren’t they too late now? Kofi Annan on “Preventing War and Disaster” had said – “In practice, good governance involves promoting rule of law, tolerance of minority and opposition groups, transparent political processes, an independent judiciary, an impartial police force, a military that is strictly subject to civilian control, a free press, and vibrant civil society institutions, as well as meaningful elections. Above all, good governance means respect for human rights”. The 18th Amendment which was enacted during the second term of the former President gave unlimited powers back to the President to appoint all important officials, judges of the Supreme Court, Appeal Court and High Court at his discretion. 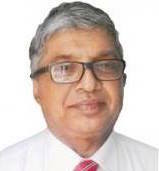 The Sri Lanka Governance Report 2012/13 says – “The Attorney General who is the Chief Law Officer of the government was expected to act independently, … was brought directly under the President so that he (AG) can no longer use his independent judgement but must carry out wishes of the President. So, when deciding whether to file criminal cases against an accused or not, the AG had to forego his right to make his own judgement on the basis of the law and evidence and instead, carry out the orders of the President in cases where he personally or for reasons of state policy gives instructions. These orders and instructions are not given in writing, as they should be in any democratic governance procedure, but only orally. Democratic governance should be based on written decisions and written records should be kept of them. This practice in democratic governance procedures is to ensure that decision making is in accordance with the law and good judgement and not arbitrary or influenced by extraneous considerations. It is also to hold government officials accountable to the law”. The above extract shows clearly how the executive interfered with the public sector. It is unfortunate that due to callous disregard for rule of law and good governance, politicians, their family members and henchmen openly flouted law with impunity in this country. According to the Repot of the International Bar Association, the Attorney General had not prosecuted those who had committed crimes and who had access to those politicians in power. After 1970s, at the highest level, most of the senior posts were filled by politically connected personnel. These new breed of bureaucrats became obedient servants of the politicians to whom they owed their appointments. Politically neutral public service and the bureaucracy became so cheap and they started accepting bribes and commissions and even carried out illegal orders to satisfy the political bosses. If so, accepting corrupt political bosses, gives a clear indication, that there is fraud and corruption, within public officers too. The institutions that have been designed to be close and accessible to the citizens have become ineffective, detached and unresponsive. The institutions, National, Provincial or Local, in the minds of citizens have become synonymous with corruption. The biggest mistake we made is that Yahapalana Government would act in the public interest. The public service now had risen to around 1.5 million employees. It gobbles up considerable portion of the tax revenue. Public money had been misused for unyielding, irregular, unauthorised and wasteful projects having curtailed on investments such as education, health, aged-care and many more. President and the PM appear to have missed the bus. They have proved beyond doubt their inability to ensure national prosperity to encompasses a variety of aspects such as financial discipline, accountability, transparency, economic development, social wellbeing, environmental protection and peaceful co-existence etc. A world Bank team in 1969, had proposed the need to establish a separate ministry to look after the affairs of public administration. We have to-date failed to understand the value of human resource development. The main functions according to the TOR of the relevant ministry are the administration and management of personnel in all Island services of Administrative, Accountants’, Planning, Engineering, Scientific, Agricultural, Technological and the Combined services and functions under the Establishment Code, formulation of policies and programmes to enhance national productivity, promotion of good governance in the public sector to fulfil anticipated development targets, introduction of novel good governance concepts, formulation and implementation of policies aimed at creating a public service giving pride of place to people’s aspirations and the supervision of the institutions coming under the purview. Furthermore, Public Administration and Home Affairs are two different Ministries under the present government. This has naturally created obstacles in promoting good governance in the Public Sector. Could they therefore create a ‘public service giving pride of place to people’s aspirations’? It is also relevant that most of the ministers holding ministerial appointments do not have the capacity, ability, experience and the know-how to fulfil the responsibilities of ‘formulation and implementation of creating a public service giving pride of place to peoples’ aspirations’. In Sri Lanka, we have not given due weightage particularly to HRD in the public sector. Numerous proposals towards reforms had also not been effectively carried out in the interest of the country. It is the most opportune time to introduce necessary reforms by playing a supportive and proactive role to take the country forward to achieve sustainable growth and development through good governance. Prime Minister recently stated on the floor of the House that 43 percent live on less than Rs. 200/= a day. Furthermore, it is our common knowledge, the government provides certain collective goods and services such as defence, law and order, environment protection, education, health, transport etc. How do they provide these facilities in developed countries? Why have we experienced deterioration in these areas year after year? Why do we always complain about poor services rendered to the public by the relevant agencies? Shouldn’t we emphasise that politicisation should be stopped. Due to obvious reasons, particularly owing to large scale corruption, the culture of impunity, lack of good governance and absence of rule of law, politicians have overlooked the need to look at the public sector futuristically. They had also used the government as a source of providing employment, with a view to winning the next election. It is unfortunate we were short of statesmen who could plan things for the benefit of the next generation. There had a been a public servant for every 18 persons in Sri Lanka in 1990s. This rose up by 2012 and there was a public servant for every 16 persons. The number of employees and government expenditure in countries such as India, Indonesia, Pakistan, Malaysia, Nepal are much less in comparison to ours. Continuous recruitment based on short term political benefits and cadre increases have ruined the public sector, despite the fact that billions had been invested for IT, computerization programmes and massive privatization of public undertakings. We have increased the number of ministries, departments etc. without any consideration to financial constraints, which had thereby caused untold hardships to the poor citizens by creating a top heavy government. This is the reason why the government requires increased revenue to cover excessive expenditure. Usually, it is through taxation government finds more and more revenue to finance the over-bloated public sector. According to an Expert – “Public services need to be delivered with integrity, centred around citizens, and responsive to the needs, particularly the needs of the most vulnerable. Promoting greater transparency and enabling ordinary citizens to assess the quality, adequacy and effectiveness of basic services, to voice their need and preferences and to become involved in innovation offers an opportunity to enable better use of public funds and improve service delivery”. Public services account for a large percentage of government budget. However, increased expenditure has not often been matched by necessary improvements and outcomes, which had eventually reduced the funds allocated to education, health and other vital areas. We need a paradigm shift in our approach to take progressive policy decisions in designing public policies for development. Good policy now refers to investment in people. The rule of law and human rights and institutional development are the priority areas that need to be addressed. The concept of humane governance coupled with good enough governance will be of relevance in SRI LANKA. Citizens are presently dying for good political, good economic and good civic governance which promotes human development. 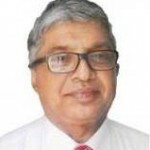 All are fake and games between Ranil; M3; and MR.
GOTA is dreaming for a big one . MR is dreaming for PM. Ranil too dreaming for big one. Therein lies the answer ………..Lacille, you look a smart guy ….. but you are looking at it from the aspect of “after the training” not from the aspect of anthropology; how we were trained by the English …..like training monkeys to do human things. ………The Soulsbury Constitution was imposed by the English and was a part and parcel of the “training.” ………. It took us this long to shed/discard our “training” and revert to our true essence. …………This is who we are! Sorry, my proof-reader has thrown in the towel and left. Thanks, you sorted out some of the biggest issues Sri Lanka is facing today. Keep up the excellent work! We tried all unknown angels, MR, MY3, RW, and confirmed them, devils. Going for JVP is on what basis now? Going for a known devil or an unknown angel again? All what you need to do is to vote JVP to free Sri Lanka. and to teach all these corrupt politicians a lesson. and a good lesson. OK. Thank you Lacille de Silva for the thoughtfully prepared article. Yes the 1972 Colvin Constitution started the rot. Doing away with Public Service Commission brought in Nepotism, which led to corruption and culture of impunity. The move from secular outlook created religious divisions. Colvin’s greatness vanished with his (con) stitution.